Mandy Mianecki is a wife and mom of 4. The storms of life have taught her to put her nets out into the deep, seeking the superabundance that life in Christ promises. She is passionate about encouraging others in their healing journeys from brokenness to wholeness; in uncovering their unique kind of God-breathed brilliance; and in living in the freedom won by Christ. When she’s not writing, Mandy is still dreaming God-sized dreams, which usually involve making art, wearing turquoise, and eyeing a nearby jar of Nutella. She blogs at Hearts Undaunted or you can connect with her on Facebook and Twitter. If only we’d just keep our hearts open, and let God shine through us! Thanks so much for this reminder. Blessings to you. You’re welcome! It’s easier said than done, but so worth it. Mandy, this is a gorgeous, rubber-meets-the-road application of a concept we crave as Christians, and we need so much help in applying it. Thanks for shining so brightly today. Beautiful. Choosing to keep our hearts open is so hard, but so beautiful. It is a gift to all those around, but also for yourself. Thank you for sharing brave in the hard places. Thank you, Becky. So true–it is hard but worth it. I love the words “keep your heart open” on repeat throughout this post. So simple yet it takes daily surrendering to accomplish this. Your stories display the beauty of an open heart and your own personal experience is teaching you to walk in faith with God who will hold you up just when you need him to. Thank you for the blessing of your words. I like the way you put that, Mary. It truly is daily surrender. Thank you for your encouragement. I appreciate you! Right on Mandy! Keeping our heart right and open makes life beautiful. There is a beautiful life for you on this side of change. A “keep your heart open” life allows the love of Christ to shine through and change us. Praying you know God’s peace as you surrender to Him in this difficult season. Such a beautiful concept and post, Mandy. Thank you for this, and praying for you in this season. HIS love is shining through you. This is a beautiful. Thank you for sharing this needed words. God has been working on that with me too. So often we harden our hearts to stop feeling the pain but we forget that means we can’t feel anything else either. So very true! Prayers for you on your journey of keeping an open heart. 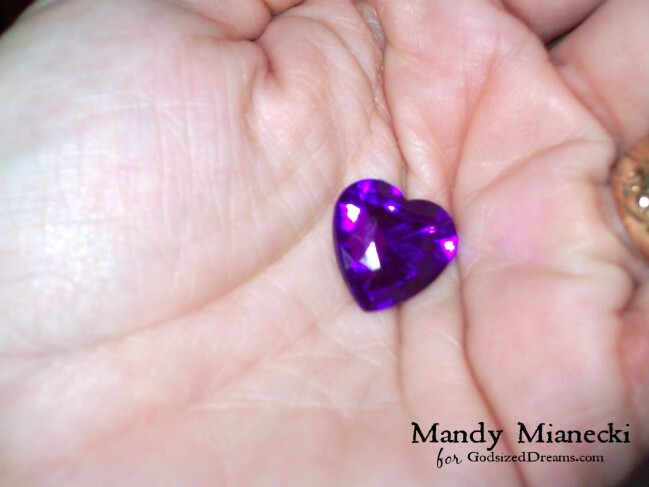 Mandy, you are so right that keeping an open heart is a choice. We know keeping an open heart can frequently include vulnerability. No matter where that path leads, our Savior promises to never leave us. Your affirmation and encouragement are welcome an powerful! Blessings! Yes, it certainly involves vulnerability, which can be scary. I love your reminder about Jesus’ presence. That changes everything! What an inspiring post, I am so glad to find you. I have kept my heart open to be filled with God’s love through many traumas, that I will share as I travel on this blogging journey. Thank you for hosting a link up too! You are invited to join me in a time of reflection with your favorite beverage & tasty treat. Thank you, Jennifer. I am sorry you’ve experienced many traumas. I pray that you experience healing as you blog through them! Oh Lord, keep my heart open! The very hard things. Whew. Yes, indeed. Thank you for joining us here! Is There a Silver Bullet to Make Our Dreams Come True?